As you’re preparing to move on, we know you are likely to have questions about your security deposit. We want to prepare you for the move-out process, and we want to be sure you understand how the return of your security deposit works. We are required to follow a number of laws and guidelines, and you have a better chance of receiving a full refund of your deposit if you follow our instructions and meet your own requirements. You surely remember paying a security deposit before you moved into your home. This was part of the leasing process. It’s possible that you also paid an additional deposit for each pet. These deposits are fully refundable at the time you move out of the property. You cannot access these funds until you move out. We hold your deposit in escrow during the lease term to cover any damages to the property at the end. Check your lease if you cannot remember how we collected for your security deposit. None of those funds can be spent during the course of the tenancy. Before we return any part of the security deposit to you, we must assess any damage that you’re leaving behind. Wear and tear is expected, but damages are more serious than the deterioration that occurs in the normal course of living somewhere. You are not financially responsible for any wear and tear. However, you will be charged for any damage that was caused to the home while you occupied it. Deterioration that occurs without negligence, carelessness, accident or abuse. During the move-in process, you were given an Inventory and Condition Form to document the property condition at the start of your lease. We took many of our own photos, and we asked you to provide photos to support anything that you noted on the inspection form. 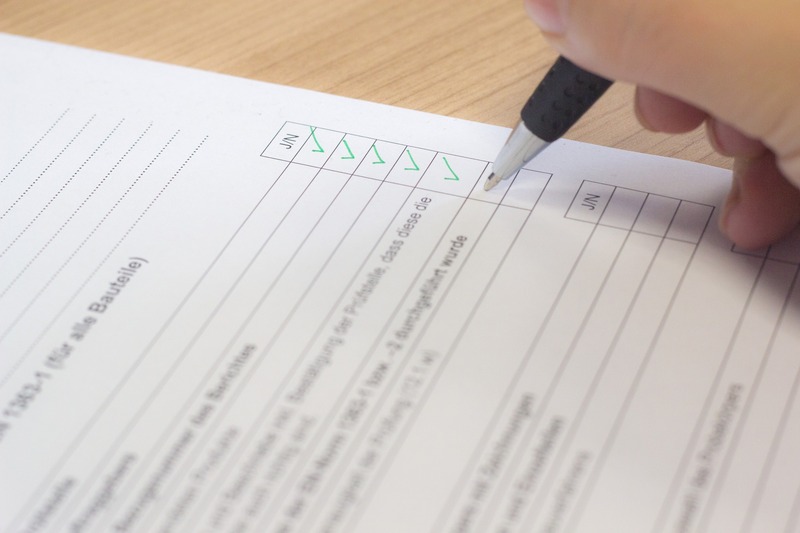 Our office uses this form and the photos during the move-out process so we can compare the condition of the property then and now, and so we can see any changes in the condition of the home. Your move-in condition form is used during our independent move-out assessment. We conduct this assessment without the resident or owner present to ensure we gather an unbiased report. Once we complete the assessment, we list any damages we find on the Deposit Itemization Form. You will be responsible for any of these damages since you were living in the property at the time they occurred. 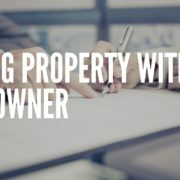 This form will also be used to indicate whether there are any additional financial obligations belonging to the tenant, which will be deducted from the security deposit. Unpaid balances on your rental account. The cost of keys or remotes that have not been returned. 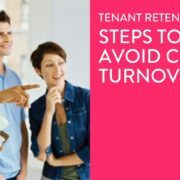 Accelerated rent if this move-out is a case in which the lease was breached. The cost to remove any personal belongings from the property. Any other financial costs will also be included. We know you want to get your full security deposit back. In order to ensure you receive a full refund, you must meet all the move-out requirements listed in your lease. Please give us a 30 day written notice that you’ll be moving out. We need this notice so we can begin preparing for your departure while marketing the home to find new tenants. We expect you to leave the property move-in ready. We want to see a home that’s fully prepared to be occupied by the next resident, aside from normal wear and tear. Hire professional carpet cleaners to clean the carpets in the property. After this has happened, you can submit a receipt to get credit for the cleaning. If you don’t do this, we’ll have them cleaned ourselves, and your deposit will be charged. Be sure to completely vacate the property. Sometimes we go inside after a tenant has moved out and find trash or unwanted belongings. Don’t leave behind a sofa or a television that you don’t want to move. Remember that any personal belongings left behind will become the property of the landlord. Those things will either be thrown out, donated, or sold. You’ll also be charged for the cost of removing those things from the property. Clean the property completely. This includes the appliances, bathrooms, kitchens, window sills, and other specifics. The home should look just as clean as it was when you moved in. Make any necessary replacements such as light bulbs that are burned out and dirty air filters that need to be changed. If you painted the walls without prior authorization, please return them to the original color and paint quality. Make sure you buy and use the right paint, and contact us if you aren’t sure which paint you should be using. Return all of the keys, remote controls, garage door openers, or other devices that are needed for the property. Leave them with us in the office when you’re ready to move out. When you drop these things off, we’ll ask for your forwarding address. It’s important that you leave us with a way to reach you, otherwise it will take longer for you to receive your security deposit back. We follow Texas law when it comes to returning your security deposit. Your security deposit payment will be sent to all tenants listed on the lease. We will return your deposit within 30 days of your move-out date. At Specialized Property Management, we do our best to complete the process prior to the 30-day timeline. We know you’re anxious to get your money back. In some cases, the amount we need to deduct from your deposit is higher than the amount you paid in security and pet deposits. If your deductions exceed the amount of the security deposit being held, you will have 10 days from the day of the deposit itemization to pay the balance. If that balance is not paid within those 10 days, and you don’t talk to us about a payment arrangement to pay off the debt, the amount due could be turned over to a collection agency for further collection efforts. You can avoid this situation with careful care of the property and open communication with your property manager. Perhaps you will move in with a pet and pay a pet deposit, but then the pet will die or be relocated before the end of the lease term. Many tenants in this situation ask for the return of their pet deposit, but this is not something we can do. Even if your pet no longer lives with you in the property, we cannot return the pet deposit mid-lease. However, you will get that pet deposit back as long as there isn’t any pet damage found at the home. We will include the pet deposit funds in the Security Deposit Itemization and Move Out forms. Another thing we run into is tenants hoping to use their security deposit to cover the last month’s rental payment. This is never permitted. We will consider you in breach of your lease if you don’t make the final month’s payment because you expect us to use your security deposit. With this breach of your lease agreement, other charges might apply as outlined in your rental agreement. Don’t let this occur. Your security deposit is never meant to pay for rent, so make sure you make your final payment just like you’ve made all of your other rental payments. We wish you the best in the future, and we’re glad you spent some time renting one of our homes. If we can ever help you or someone you know find a rental property in the Fort Worth area, we hope you’ll think of us. Our goal is to make the rental process as easy and enjoyable as possible for everyone – from tenants to landlords. We’re always happy to hear feedback about the experience that tenants had with us, so be sure to let us know what you liked best about living in your rental property. If you have any questions about how to handle the move-out process or what you can expect from your security deposit itemization, please don’t hesitate to contact us at Specialized Property Management in Fort Worth.